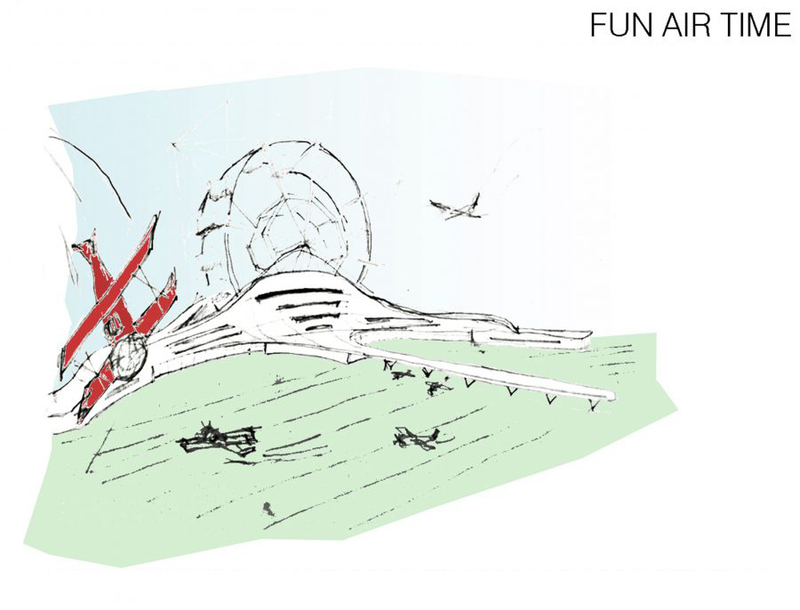 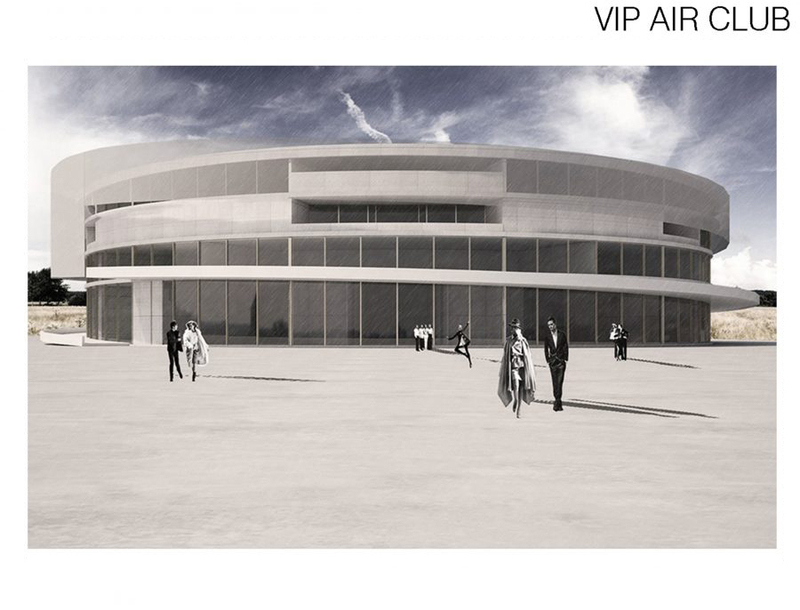 The idea of „Leisure city” masterplan was to recompose the structure of the site to fit the new four major functions (air racing school and competition venue, fun air time building, VTOL air offices and VIP air club) and also keep the original purpose of the area – air-gate to Bucharest. 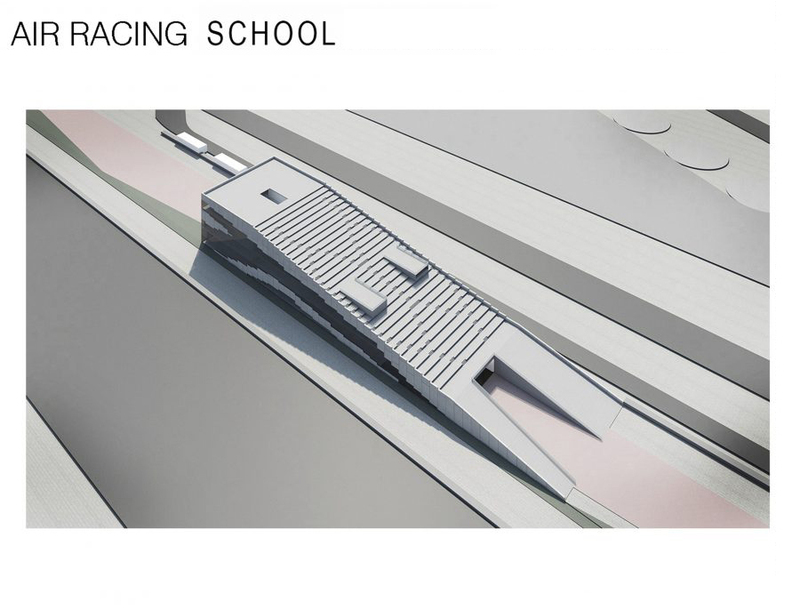 We noticed that the longitudinal conformation of the site behaves as a major limit between the north and the south urban tissue and the project wants to deal with this problem by creating some crossing points, both visual and physical. 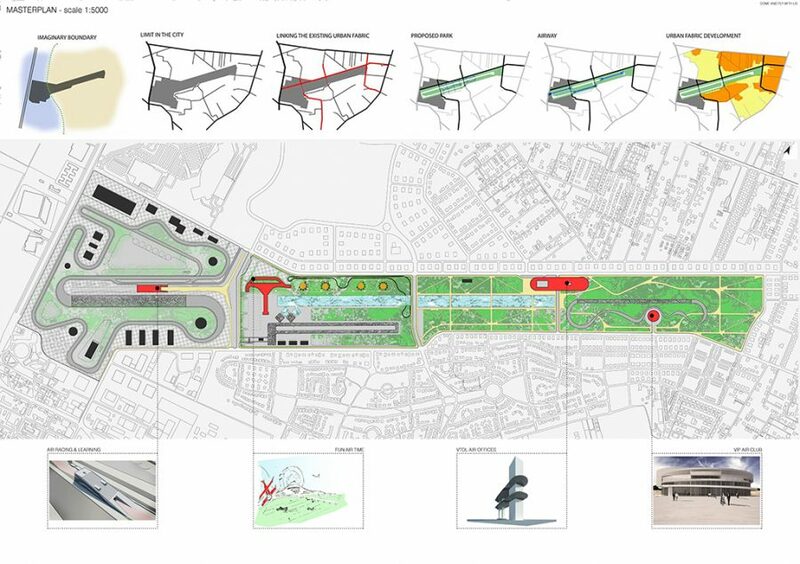 The functional area around the site filters itself from public to private (residential), so we wanted to facilitate further development of the living area and also create a park for people to percieve the once „forbidden” area. 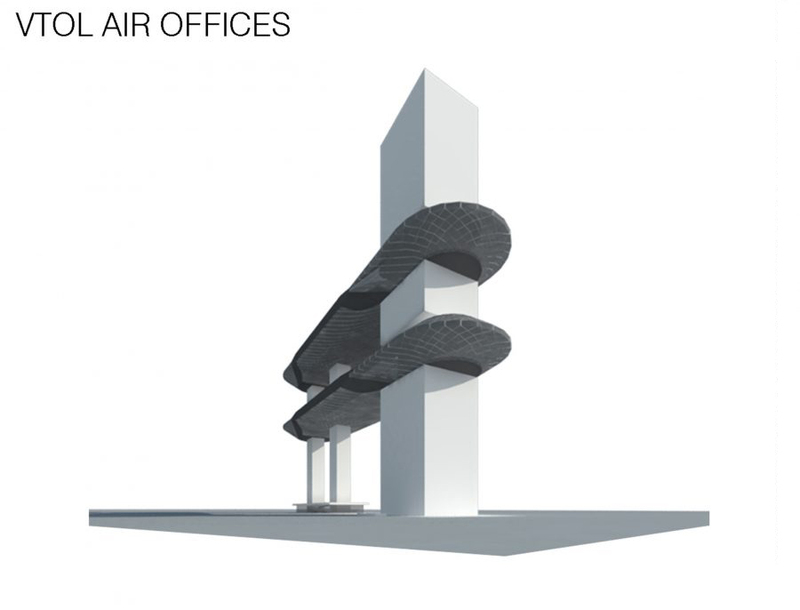 Therefore, we kept the direction of the original airstrip, reintepreting it and the surrounding areas accordingly.